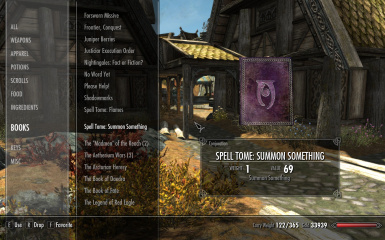 Adds a spell that summons a random creature, animal, or person. 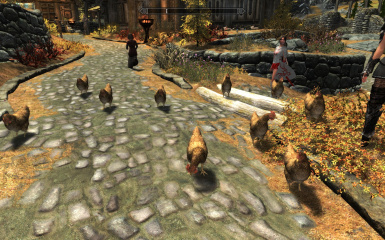 Adds a spell that conjures ten chickens. 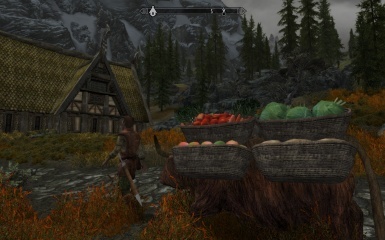 Removes animals from roads, adds bandits at night to roads, and adds patrols and travelers to roads during the day. 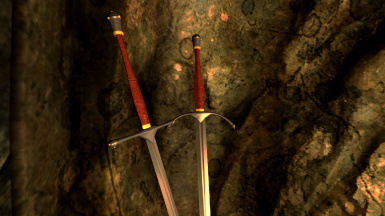 Moves predators from main roads and some dirt roads to wilderness areas. 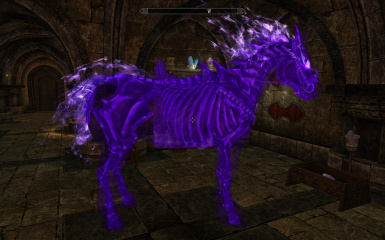 Adds 3 summonable spectral horses you can ride. 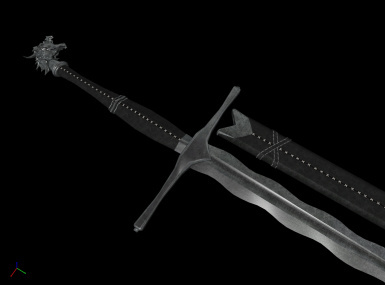 Adds a complete Elven weapon set. 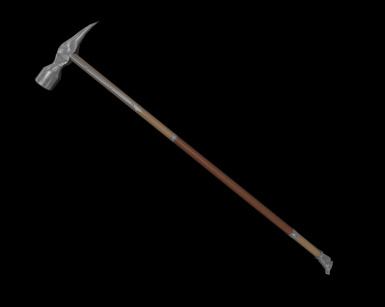 Adds a complete Dwarven weapon set. 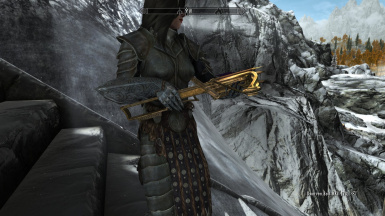 Adds a complete enchanted weapon set with 2 texture versions. 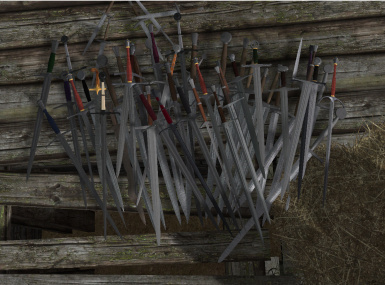 Adds a complete weapon set with 2 texture versions. 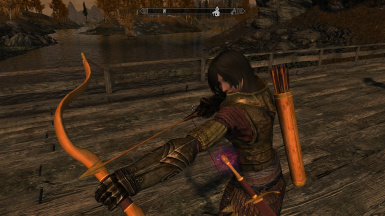 Adds a powerful drain spell to Skyrim. 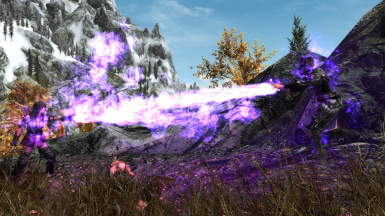 Adds a purple flame spell to Skyrim. 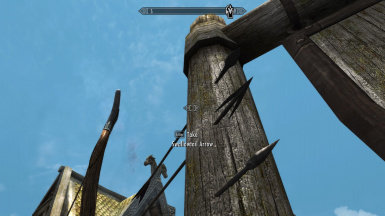 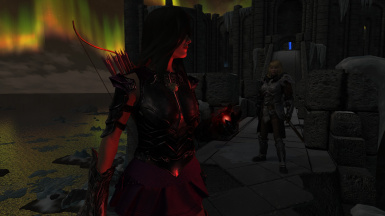 Adds 3 Medieval Arrows to Skyrim. 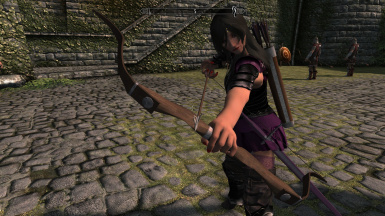 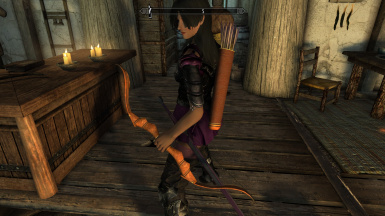 Adds a recurve bow and arrows to Skyrim. 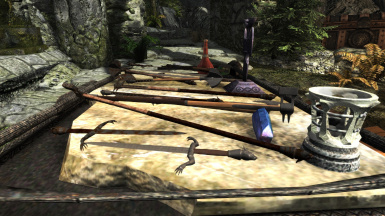 Adds 57 swords, greatswords, and daggers to Skyrim. 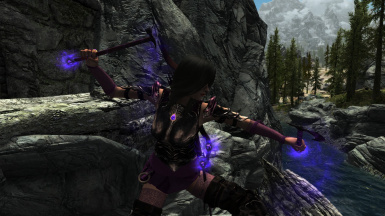 Adds a longsword to Skyrim. 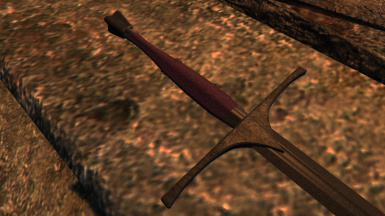 Adds 2 longswords to Skyrim. 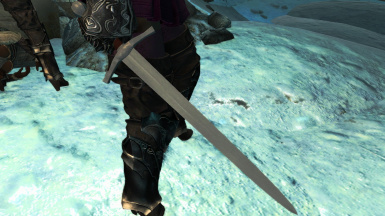 Adds an arming sword to Skyrim.